Newark Public School Foolery...Eat while you can! Recently I was passed copies of Newark public School District's expenditures for the month of march and April. Now, let me just state up from that I have never looked at expenditures for a school district before. I honestly never had a reason to. I was a trusting person. This past year has changed that. Looking through these pages, various items caught my eye. The usual payouts that you would expect to see on a list of disbursements fro a school district are there, technology companies, educational suppliers, maintenance companies. But interspersed among these were several items paid to different restaurants, Urban Chicken, Seafood Palace, and Hobby's Deli were a few. Some of the amounts were fairly negligible, maybe a little over $100. Some of the amounts were a more than that. I asked an administrator friend of mine for some suggestions about what these charges could represent. She suggested that maybe there were some sports banquets or other such events that food was provided for. She also suggested that at meetings, etc there is often food that is provided that comes out of the budget. Overall, this total for one month came to nearly $24,000. Amazing how those cookie trays can add up, isn't it? Looking through more of these numerous pages, another entry caught my eye. A payment was made to Cami Anderson herself for nearly $33,000. So again, back to my friend I went. The explanation that I received this time was that it may have been related to the car that the Cami was probably provided. Well, I was a little taken aback by that. A car. Why should a superintendent be given a car? I was told to think about it. After all, being a superintendent is a really tough job and well, getting qualified superintendents to accept positions in these districts is tough so extras like this are sometimes needed. Really? If a person that is n charge of a school district is worthy of receiving a car during employment, why shouldn't a teacher also be worthy? Teachers are the people that are interacting with the students, shaping their lives, trying to point them in the right direction. We are the gateway for future generations. Schools are not businesses that are supposed to make profits. We do not need to lure away the best people from other districts in order to give ourselves some type of advantage. This type of thinking is one of the things that are pitting districts against each other when our public schools should be unified. Additionally, Cami Anderson was selected by the state. She was not chosen through a collaborative voice of parents, teachers, and students. 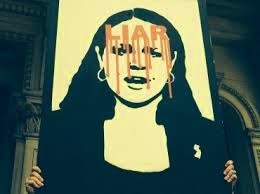 The citizens of Newark have voiced their dislike of her, over and over again. The teachers do not want her. The students have suffered at her hands long enough. As an employee of the state, I feel that if a car is to be one of her job perks, then the state itself should be responsible for paying for it. Let me state my disclaimer again. School budgets are new to me. I am sure that there are explanations for the many, many things that I have highlighted to research. But research them I will. In the meantime, I have to wonder about a few things. Why am I being forced to research these items in the first place? I feel that there should be a little more transparency as to what each of the payouts is related to. A school board should have nothing to hide. Why are there so many payouts that are not directly related to providing for the students? Why are we so stuck in the way things have always been done that we cannot see that public schools need to make some changes in order to maintain their integrity of purpose? Why have there not been any changes made about some of these seemingly extraneous expenditures? The Newark School Board has been questioned this week in an open public forum about these food charges. Will an answer ever be given? Or will these school board meeting continue to merely exist as a false venue that really accomplishes nothing while more people become frustrated at the lack of response from the board. Who ate all of that food??? Aligning curriculum to the Common Core standards is just one of several requirements imposed by the U.S. Department of Education in order for a state or school district to receive Race to the Top funds. Among others are closing allegedly "failing" schools; giving preference to charter schools, and having a substantial portion of teacher ratings based on student test scores (VAM). However, in terms of destructive impact on public education, and of federal over reach at the expense of local control of public schools, the other three are just as destructive, and hit many school districts extremely hard- especially in the nation's large cities- before Common Core was part of the mix..
What this means, especially to teachers and those deeply committed to public education, is that Common Core should not be protested in a vacuum or to the exclusion of the other 3 politics. The entire Race to the Top program needs to be discarded. Concentrating on Common Core because it is the weak link makes sense, but never the point of de-emphasizing the battle against school closings, charter school preferences and VAM. Some will support political candidates exclusively on the basis of opposing Common Core. I respect the people who take that position, but I am not one of them, I will only support candidates who support elimination of the entire Toxic 4. You’re not a colleague—You are judging me. You mark off your checklist but you miss the best. To know we are learning even with the mess. We draw, we paint, We make mistakes. We’re learning in ways you cannot grade. To see how proud we are of the artwork we made. So grade me, boss, and see what you see. It’s what my kids think that matters to me. 4/29/14 Written by an anonymous art teacher in a public elementary school after the fourth such “walkthrough” observation in the school year. I composed this poem to express my exasperation with a public education system that increasingly values hierarchy and control rather than creativity and collaboration. The building principals in the school district where I teach use “Learning Walks” as a tool to evaluate teacher effectiveness. It is a quick and efficient means of collecting data on the teachers they supervise. The name “Learning Walk” is somewhat of a misnomer because the questions focus the observation on teacher behavior and not on student learning. 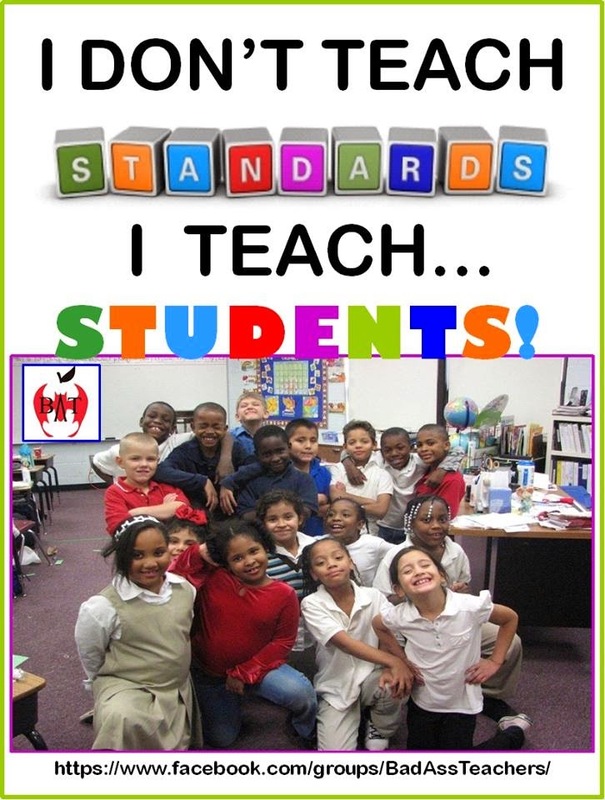 On a “Learning Walk” the principal uses a standardized form for all teachers. The form is a one size-fits-all checklist, a tool to assess whether the teacher is complying with mandated protocols and expectations for content delivery. These protocols include things like “Word Walls and “I can…Statements” which all teachers are required to display in their classrooms. In addition to these visual cues, the teachers are required to use certain content-delivery strategies that have rigid expectations for student behavior in the classroom. My school is K-6 and the behavioral expectations are uniform for all children. The content delivery strategies I am expected to follow come directly out of a book called Teach Like a Champion. These strategies have names like “No Opt Out,” “100 Percent” and “Cold Call.” The implicit assumption (for which I have seen no real evidence) is that if the teacher complies with these content delivery strategies and administrative expectations, then student learning will be the result. It is a top-down strategy of control that undermines teacher autonomy, creativity, and collaboration. In my school this has added to an increasingly oppressive atmosphere of coercion and control over teachers. The focus on rigid uniform expectations, control and standardization runs counter to what we know from developmental psychology about what human beings need to learn and grow. On this particular day my principal sat in the back of the art room and went through her checklist. As she checked off the boxes on her form, she wrote short comments such as positively noting “Great job w/your I Can Statements” and more critically observing the following: “Students talking out, even w/hand in air. You seem to be talking over them.” She didn’t respond to the content or meaning of the lesson I taught. Nor did she see what the children actually created or stay to find out how they applied the new drawing strategy I introduced. After ten short minutes, she slipped out of the classroom. Later that same day I got my copy of the completed checklist in my mailbox. It left me with feelings of anger and powerlessness in a system that refuses to acknowledge the complexity and subtlety of what teachers actually do. We Are All Craig Charvat: Defend the Free Speech Rights of a Great Long Island Teacher! 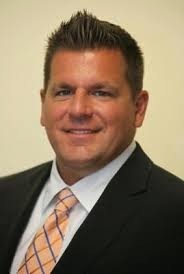 Craig Charvat, the Social Studies Teacher from Center Moriches High School who made headlines all over New York State for denouncing the Common Core Standards, and refusing to accept evaluations based on Common Core tests, has been removed from his classroom. 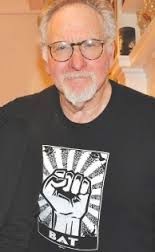 The grounds for doing this were his refusal to participate in Professional Development sessions related to Common Core, which he felt were a waste of time, and for allegedly inciting students to rebellion, charges based on a recording of one of his class sessions in which he was leading a discussion about the American prison system! The latter charge is the one most disturbing to me. Can you imagine Administrators enlisting student to surreptitiously tape their teachers during a class room discussion? That violates every rule of Administrative ethics I have ever heard of and is a deadly threat to the freedom of expression of every teacher. I am calling on every teacher I know, from nursery school right up through to the University to write the people responsible for personnel decisions in the Center Moriches School District to demand that Craig Charvat be restored to his classroom and the secret taping of teachers be repudiated as a violation of academic freedom and good administrative practice. Craig Charvat must be returned to the job he loves and the job he does so well! “There is a battle royal being waged across the nation about a set of national academic standards called the Common Core.” — Diane Ravitch, historian of education and educational policy analyst. Appreciation Week. She is a TN BAT! According to the Common Core website, the creation of the Common Core State Stan- dards (CCSS) was a “state-led effort … launched in 2009 by state leaders, including governors and state commissioners of educa- tion from 48 states, two territories and the District of Columbia, through their member- ship in the National Governors Association (NGA) Center for Best Practices and the Council of Chief State School Officers (CCSSO). Their intention was to provide a set of national education guidelines for all public schools across America to follow in order to enable our children to be “college and career” ready by the time they leave high school. Tennessee jumped at the chance to be awarded a national Race to the Top grant to fund public schools. However, one of the stipulations of receiving the Race to the Top money and the NCLB waiver that went along with it was that Tennessee must adopt and implement the Common Core State Standards and the online assessment corre- lated with the standards called PARCC— Partnership for Assessment of Readiness for College and Careers. Theoretically, with these guidelines in place, a student moving from one district to another or one state to another would not fall behind in curriculum or instruction if all schools in the country were to be unified and tested under one national set of standards. Sounds pretty good, doesn’t it? So, why the controversy surrounding the standards? Tennessee districts began phasing CCSS into English language arts and math as early as 2011−12, with the intention of fully implementing the standards and testing in 2014−15. However, as the training, implementation, practice testing, and essay writing began in earnest in Tennessee, many teachers, students, and parents began to realize that the new standards, rather than providing the promised “rigor and relevance” to the curriculum, provided confusion and frustration as test prep increased and anxiety levels began to rise. Chris Guess, a member of the Franklin County Board of Education, believes the Common Core standards are get- ting away from what students need to be learning in the first place—the basics of reading, writing and arithmetic. “We’re getting the cart before the horse,” he said, following a recent school board meeting. The devil really is in the details. 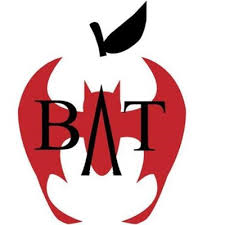 For more information on Education Reform in Tennessee, please follow Tennesseans Reclaiming Educational Excellence on Facebook and Twitter, Momma Bears on Facebook, and the Tennessee BATs teachers group on Facebook. 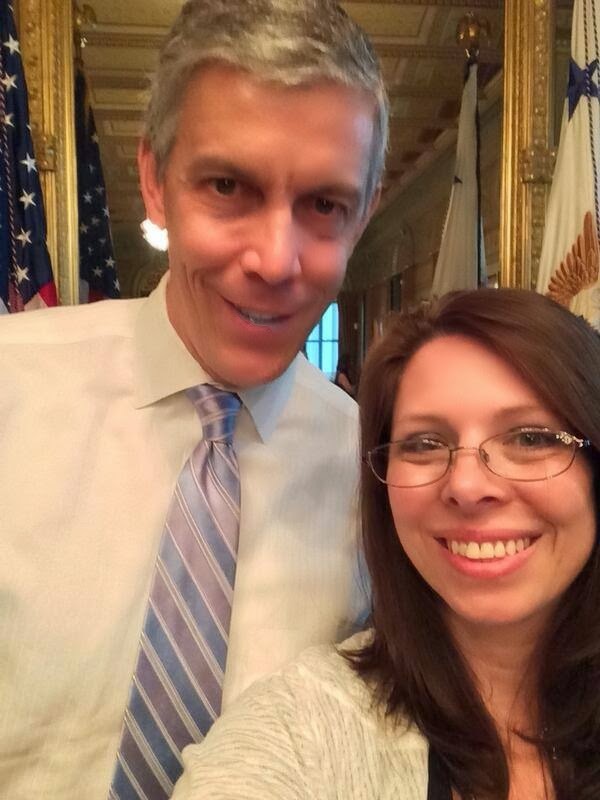 Lucianna Sanson is a Tennessee public school teacher, union activist, and member of the Tennessee BATs teachers’ group. Originally published by emPower Magazine on Wednesday May 22, 2014. As we celebrate the 60th anniversary of the landmark Supreme Court ruling Brown vs. Board of Education, which put an end to segregation of public schools, many have argued that the goals of that case have not been met as many black and brown students remain in schools that are highly segregated from their white counterparts. Before the Brown case, segregation in public places was justified through the ruling in 1896 Plessy vs. Ferguson that gave birth to the separate but equal policy. The Supreme Court in Brown acknowledged that separate but equal was inherently unequal. Segregated schools received less money, resources, and many communities in the South refused to create schools for blacks, leaving many without the opportunity to receive an education. Integration removed the barrier that kept white and black children from attending the same school, but did it put an end to separate but equal? Or has the growth of charter schools led to a new version of separate but equal? As charter schools grow in many communities, some states have passed laws demanding that new charter schools be co-located in existing public schools. As the student population in traditional public schools decline leaving some buildings with empty rooms, charter schools have been determined to have a right to those spaces. Proponents of charter schools insist that as a public school, charter schools should have access to public school buildings, even if a school already operates in the building. But what does co-location mean to the traditional public school students who now have to share and or lose their space with the students from the charter school? For many it means a return to separate but equal policies. Cheryl Smith-Vincent says that construction repairs forced her to move out of her third-grade classroom at Miles Avenue Elementary School in April and relocate to a new room. She says that the repairs had long been needed, but were only scheduled once a decision had been made to give that space to a charter school co-locating at Miles in the fall. Not only did they lose instructional time during the repairs, they could not return to the newly remodeled room because it was for the charter school. What message does that send to the students in the traditional public school? Are we telling them that they are not worthy of a newly remodeled classroom or building but the charter school students are? If the only way to give something to the new charter school students is to take away from the traditional public students then in essence we are creating a system of separate but equal. And as history has proven, separate but equal is inherently unequal. The new Mayor of New York, Bill de Blasio came under fire by some charter school advocates when he tried to block co-locations in NYC. In New York City traditional public schools have been co-located with other public schools for a long time. But the growth of charter schools in the city have increased the amount of co-locations. When de Blasio took office there was a proposal to co-locate 45 schools, 17 of them charters. His administration rejected nine of the requests, three of which were Success Academy Charter Schools run by Eva Moskowitz. Not long after his decision Moskowitz closed her 22 schools for the day and took them to Albany, NY to protest the mayor’s decision. Supporters of charter schools argued that de Blasio was attacking these schools and did not care about black and brown children. But in reality de Blasio was very much concerned with all of the special needs children who would have been pushed out of their traditional public school to make room for the Success Academy students. Not all of the schools in NYC that are targeted for co-location have empty classrooms. Often some children are sent to a different school to make room for the new school. Instead of providing a quality education to all students, co-location pits public school students vs charter school students forcing them to compete for resources and space. This new version of separate but equal not only effects students but also communities who are torn apart by the process of turning families into competitors. Sixty years later is quite obvious that the aims of Brown vs. Board of Education continue to be unfulfilled. Equality of educational opportunities remains elusive for thousands of black and brown children. Education reforms are more likely to exacerbate the problem when they are driven by a profit motive. If you want to close the achievement gap, you invest in public schools for all and provide more resources to the schools and communities that need them instead of less. There is research out there that shows how districts have been successful at improving academic achievement in students of color. None of these success stories include mass school closings, charter school co-location, fast track teacher preparation programs, and teacher de-professionalization. Integration removed the physical barrier that kept black and white children from attending the same school, but it did nothing to make schooling experiences more equitable for all. If we truly want to reform public education then we must stop the return to separate but equal. To review the research on practices that effectively close the achievement gap read Creating the Opportunity to Learn: Moving from Research to Practice to Close the Achievement Gap by Wade Boykin and Pedro Noguera. Many people say...look to the children for the future of this world. We say look to the children NOW!!! Students of Newark, NJ demanded their right to be heard tonight when they conducted a sit in at the Newark Public School Board Meeting. When their demands including a call for the resignation of Cami Anderson, and return of local control of the schools were basically ignored; it was decided that they would not leave the building at 2 Cedar Street. Tweets and Facebook posts were sent out in a very well communicated plan to Occupy Newark as we learned of a refusal to allow food to come in (a decision that was later reversed), the hasty adjournment of Newark Schools superintendent, Cami Anderson, and the supporting visit of recently elected mayor, Ras Baraka. Later in the night, community members and parents gathered outside of the building to show their support for these students. An outsider has to wonder, why does it seem that no one is listening to what the community has voiced, over and over again. It is true that the assistant superintendent Roger Leon sat with the students on the floor to meet with them and listen. But to what avail? It is really quite clear that Cami Anderson is the one calling the shots for the appointed board to carry through during this one-woman show. In spite of botched efforts, lack of communication, unfair school assignments, and transportation woes Cami Anderson still avows that what she is doing is best for the people of Newark and she will not allow the voices of thousands deter her in any way. But these families are ready to have their city back. They are willing to fight for it. They will not give up. In the meantime, her former work peer, Paymon Rouhanifard, sits quietly in the shadows of Camden, plotting how to implement this same plan for the schools of Camden. He seems to have a gentler approach and claims that he is actually listening to the voices of the people that he is aiming to help. Perhaps the voices in Camden are not merely speaking loud enough about what help they really want? Today, I had a chance to spend time with two members of the most amazing family of educators I know, the Pruitt’s of East 168th Street in the Morrisania Section of the Bronx. The Pruitt family, who moved a small row house on 168th Street in the early 1940’s when the neighborhood was mostly Jewish, had five children all of whom became teachers- Harriet ( McFeeters) who worked more than 40 years in the Bronx as a teacher, principal and assistant district superintendent James, who taught social studies in Bronx High Schools along with a stint running the Upward Bound Program at Fordham; Bess, who was a gym and dance instructor at Evander Childs High School and founded one of the first dance promotion companies run by a Black woman, and Henry and Janet, who were teachers and school administrators in Englewood and Newark, respectively. At a time when improving our public schools, especially in poor and working class communities, has become a national obsession, it is astonishing to me that no one in the New York City Department of Education has sought to draw upon the experiences of this remarkable family for clues to how recruit and retain talented teachers Every one of these remarkable individuals spent their entire professional life as teachers and school administrators and achieved remarkable success in inspiring students who worked with them and teachers who worked under their leadership. However, when it comes to teaching, flexibility and mobility may not be the traits we are looking for. The best teachers do more than impart skills and subject matter to their students; they build relationships that last a lifetime. I have seen this first hand with the two members of the Pruitt family I know best, Jim Pruitt and Harriet McFeeters. You cannot go anywhere in the Bronx with these two individuals without running into someone who was one of their students, or their colleagues. Invariably, there are hugs, kisses and comments to me about how the person I was with either changed their life ( if they were a student) or helped them do their job better ( if they were a teacher or principal). But my evidence for this is not just based on individual encounters. I had the privilege of attending the retirement party for Jim Pruitt when he finally left teaching that was attended by more than two hundred people, most of whom were his former students from Morris and Kennedy High Schools. I also, almost every year, drop in on the Fordham Upward Bound Reunion, where more than 50 Black and Latino men who grew up in the Bronx reminisce about the experiences they had under Jim Pruitt’s mentorship. There are a few things about the Pruitt family history that might provide clues to their success. They grew up in an African American family working class family where learning and public service were held up as ideals irrespective of the wealth one possessed. Each child attended New York City public schools and attended New York public universities. And two members of the family Bess and Harriet, lived in the family house in Morrisania during all the years they worked in the Bronx public schools, years that included an arson and abandonment cycle that decimated many portions of their neighborhood, a fiscal crisis took music, arts and after school programs out of the public schools, and a crack epidemic that destroyed many young people and their families. Through all this, Bess and Harriet remained in their neighborhood and remained in Bronx schools, guiding young people who others gave up on and mentoring new teachers who came in to work for them. If you are looking for Superheroes, educators whose experience may hold the key to helping young people growing up in poverty embrace education, the best place to look may not be in the Charter Schools of Harlem, but in a little row house on East 168th Street between Prospect and Union Avenues in the Morrisania section of the Bronx. I know that’s where I go when I’m looking for inspiration, along with a great public school in the Bronx, PS 140, headed by a remarkable principal, Paul Cannon, who grew up only two blocks away from the Pruitts. Maybe someday, when the people running our schools stop looking to Wall Street or Hearst Publications for guidance, they will turn to the people who have a proven track record for educating inner city youth, and who did it- and are doing it- in the neighborhoods they grew up in. Charter Schools are looking more and more like the educational equivalent of subprime mortgages---a short cut to greater equity and opportunity that becomes the basis of a huge unregulated industry, which gives entrepreneurs the opportunity to make quick profits, and the very wealthy tax breaks and opportunities for investment. What makes both the charter school and subprime mortgage seductive is that they appear to circumvent the grim long term decline in income of large sections of the American population and give low and moderate income people a share of the American dream, in one instance by allowing them to own a home, in the other by getting a rigorous education that will make them "college and career ready." But both "short cuts" have, when you read the fine print, a built in component of "crash and burn" in the case of subprime mortgages, adjustable mortgage rates which can rapidly put monthly payments out of a working class families reach, and in the case of charters, the capacity to drive out students who present disciplinary problems or don't test well. The Charter Fad which seems to have swept through major parties, is going to result in a very painful Day of Reckoning. Any industry given this kind of public subsidy, and this kind of freedom from regulation, is going to lead to extremely high levels of corruption. As usual, they have no backing for any of the research they throw out about their organization. 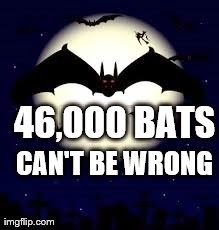 As is par for the course, BATs made sure we tweeted and posted “peer reviewed” research about how their organization is hurting public education and specifically our inner city schools. On Saturday, BATs will be participating and speaking at the Take Back our Schools Rally. Co –Founder Mark Naison will be rapping his new song The Charter School Hustle, Marla Kilfoyle, General Manager of BATs will be speaking on the Parent –School connection in fighting corporate ed. reform, and Melissa Tomlinson, Asst. GM of BATs will be speaking on how to confront your politicians. BATs also will be launching their Go Fund Me fundraiser for the DC March this Sunday. This fundraiser will help pay for the Conference room at the Holiday Inn, Food, and Materials for our Leadership Academy and BAT Social. It will also help pay for the generator at the March, speaker subsidies, and craft items for our children. Any extra that will be left over will be donated to the BATs charity by membership vote. It is exciting, and rare, to see politicians who really represent people triumph over corporate sponsored sycophants who only represent their backers’ bank accounts. 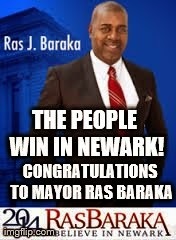 Democrat Ras Baraka's May 13, 2014 mayoral victory over Democrat Shavar Jeffries in Newark, New Jersey is especially important because one major issue emerged to dominate the election: local control over public education. While corporate education reformers unabashedly push their anti-democratic agenda nationally, Baraka's victory is a reminder that participatory democratic values and common sense principles (such as local control and economic justice) can win over education reformers’ criminal activities. As Newark voters just reminded us, educational sovereignty is not an abstraction--but a concrete necessity. Parents know when their children are being denied, neglected, and abused. Teachers know when they are being used and discarded: their jobs are reduced to rote mouthpieces for profiteering edu-speak. Children feel their futures being stolen from them. They feel more alienated from schools, teachers, lesson plans, and standardized tests. Baraka's victory is about creating the educational climate--supported by larger goals of racial/ economic justice--that are required for thriving students. Minimally, it will take the same grassroots efforts it took to get Baraka elected. One of the state's key oppressive tools is the insistence that school districts show competency in certain areas for the state to return control. However, history proves the state has never had any intention of returning control to local school districts. Forget about that promise, and the “procedure” laid out by the state for regaining control. Occupied districts have met competency criteria before, yet the state ignores these facts. School takeover, while once conceived as a way to circumvent established school funding fairness protocols initiated by New Jersey's “Abbott” legal decisions, is now also seen as a pivotal initial step in privatizing/ chartering schemes. Education privatizers may have lost this election, but school thieves have other tricks--and they're not going to back down easily with so much taxpayer money at stake. It appears Newark’s people are not going to back down either. Baraka’s victory stands as an indictment of state crimes against Newark citizens—especially its students. 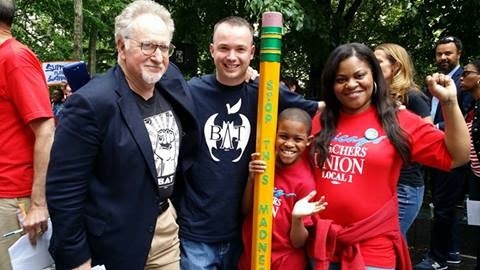 In a previous article, we suggested "People's Benchmarks" to assess the state’s school district takeover performance (http://www.counterpunch.org/2014/02/14/new-jerseys-occupied-school-districts-2/). "People's benchmarks” challenge the state’s role as judge in this relationship. Who’s judging whose standards? While the state forces occupied school districts to meet its own dubiously shifting and changing performance criteria, people can continue to indict the state for failing in at least four major areas: cooperative working relationships, zero tolerance for racism, funding fairness (not corporate strings), and improved academic performance. How can you run an education system when no one is getting along? State takeover is never smooth, and resulting acrimonious relationships influence school climate and therefore all aspects of education—including academic performance. Studies reveal there is no proof state takeover is ever welcomed. In some areas, academic performance can be negatively impacted because different levels of government are not cooperating. The education governance system has to involve everyone--especially those who are most affected by education decisions--in order to be fair and effective. The state is indicted for the crime of autocratic rule in the Newark school district. How can you run an education system immersed in racist assumptions and practices? 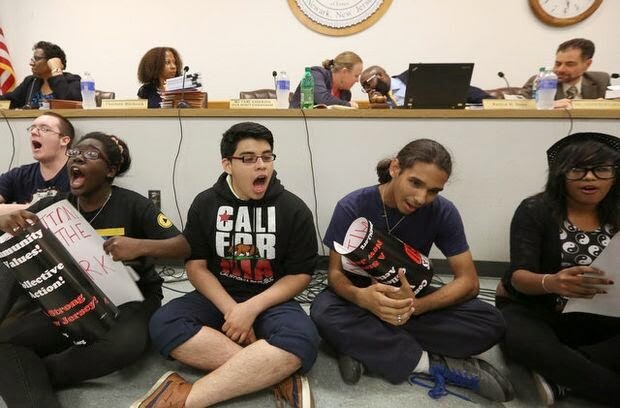 New Jersey's school takeover process is racist because the majority of state controlled school districts are populated by nonwhite people, with white people (Eli Broad, Mark Zuckerberg, Bill Gates) representing the millionaires and billionaires funding the attack on public education. Takeover supporters argue districts are innocently targeted because of academic achievement or mismanagement—not racial composition. However, racial discrimination permeates the entire process, as parents, teachers, administrators and students report feeling patronized, singled out, or targeted for incompetentce based on their skin color. Newark school superintendent Cami Anderson’s elitist and dismissive attitude and behavior is just one individual example of the New Jersey Department of Education’s white supremacist culture. The state is indicted for the crime of racism in Newark. How can you run an education system that is not funded fairly? New Jersey has the Abbott legal decisions--which established a progressive fair funding formula for its public schools. School takeover should be viewed as one way to circumvent Abbott’s fair funding principles. A February 5, 2014, Education Law Center press release states: “From 2007 through 2009, school funding in the Garden State was the second most fair, or “progressive,” in the nation. High poverty districts were funded at levels approximately 40% greater than low poverty districts. In 2010, the level dropped to 25%, and by 2011, it fell even further to 7%, driving New Jersey from 2nd to 12th place nationally. Overall funding levels also declined, with average per pupil funding in 2011 more than $1,300 below the 2007 average”. The Education Law Center also explains Christie made mid-year cuts in 2010, and then he cut $1.2 billion more in 2011. These cuts disproportionately affected low-income districts. The state is indicted for the crime of reducing school funding and ignoring Abbott’s fair funding legal precedent. How can you run an education system that does not improve academic performance? There is no scholarly evidence that state takeover clearly improves academic performance. (And even if there was this evidence, the state can’t objectively assess its own Department of Education's performance anyway, can it?) The lack of cooperative relationships, the racism, and school funding disparities all combine to create difficult learning conditions for students and difficult teaching conditions for teachers. The state is indicted for creating and maintaining conditions of student struggle and teacher misery. The education reformers' plan is to make Newark an experimental playground featuring expedited, transformative, and lucrative change. Schools are quickly closed, or co-located, teachers and other workers are quickly laid off and replaced by a non-union workforce, and working families are left too dizzy from the confusion to become a significant obstacle in the plan. Ras Baraka's election throws a monkey wrench in this plan. They tried to craft the public perception of an education crisis caused by failing teachers and incompetent or corrupt urban school leaders, while the state is actively underfunding education across the board. Newark citizens rejected this perception and the "One Newark" plan that accompanies it. Instead of buying into the education reformers’ crisis mentality that demands a rapid-response venture philanthropist intervention, pro-public education awareness grows—with a mayor to back it. This awareness acknowledges that schools need cooperative relations, zero tolerance for racism, funding fairness, and evidence of improved academic performance. If the state’s not operating from these benchmarks in occupied districts (and it’s not), it needs to pack up and go. Baraka’s election is an indictment of state/ corporate crimes against Newark’s citizens—and the education reform paradigm in general. If they are really concerned about Newark students, they should return the schools to local control. This involves truly democratic decision making, the abolition of white supremacist views of competency and leadership, commitment to a fair funding principle, and the cessation of financial profit in education (while claiming education reform is the new civil rights movement all the while). People get it wrong. Neither the education reform movement nor the public education movement can claim the mantle of today’s new civil rights movement. 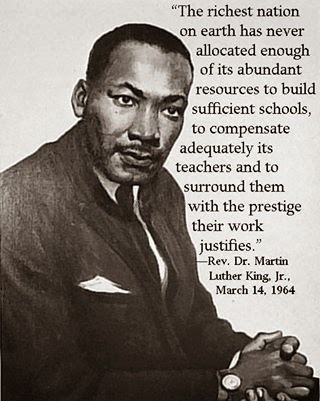 As it always has, the civil rights movement continues to holistically encompass many inter-related issues including jobs, voting rights, housing rights, health care, prisons/ policing, anti-violence initiatives, drug policy reform, environmental issues, and equality in education. Educational sovereignty in today’s climate of racialized class bludgeoning is a priority for many people, and one of the strongest recent examples of this priority is Ras Baraka’s mayoral victory. Seth Sandronsky is a journalist in Sacramento. Email sethsandronsky@gmail.com. As I write this blog two events are occurring. One is the subtle power of agreement between political parties and educational groups on the disservice and negative impact Common Core is having and will continue to have if allowed to be fully implemented. Second is the not so quiet rebellion by stakeholders at the local level fed up with being told by state and federal Departments of Education that Common Core is a locally and state driven initiative. Just this morning students in Camden, NJ have walked out of classes in protest of the teacher layoffs that have been issued. Over 200 teachers have contracts that will not be renewed for the 2014-15 school year. I watched Glenn Beck last night on Fox’s O’Reilly Factor as he spoke out against Common Core. Honestly, when I saw he was going to be a guest I started to cringe. I have read a little bit about Beck and have seen him occasionally on TV, and frankly I have found him “cringe worthy” because I am never quite sure what is going to come out of his mouth, and there was a time when I thought he presented himself in a superior and sarcastic manner….. sort of the Conservative’s version of Bill Mahrer. Throughout the interview with conservative host, Bill O’Reilly, I found myself in agreement with Beck. I thought he accurately addressed the concerns of Common Core in the short segment. What surprised me was O’Reilly’s apparent lack of knowledge that Big Business is in bed with Common Core Advocates. The best remark made by Beck is something I have tried to express over the last half-year. Common Core proponents state these standards are “rigorous” and will help our country be competitive with the rest of the world preparing students to be college and career ready by embedding critical thinking skills. The implication is that “we” (stakeholders who oppose Common Core) have been derelict in challenging students, and if Common Core did not come along, we would simply be asking rote type questions and not talking about opportunities that lie ahead for students. Beck clearly states how ridiculous (and I might add, insulting) this is. Who doesn’t want our country to be successful? Who doesn’t want our students to be lifelong learners? The difference as he points out is the CCSS educational model deviates from what has historically made the US unique from other countries. We should be proud of our local control, we should continue to allow students to dream, be participants in meaningful discussions and lose and find themselves in great fiction. We are not serving ALL students when we have a one size fits all, high-stakes, factory fashioned system. And frankly, I have seen enough CCSS sample homework and test questions that are nothing short of asinine! Unfortunately, accountability has become a dirty word. I don’t think there is an educator, student, parent or board member who believes there should not be expectations of excellence in our schools, and certainly we need to be wise stewards of taxpayer money. I am simply tired of the “let’s get rid of tenure” argument, the advocacy of Charter Schools, and the denial that schools have to do and teach more with less. Accountability has been the unfortunate buzzword to mean expensive implementation of Common Core standards, the technology used to check how students are doing, and the naïve belief that a new and exhaustive teacher evaluation are going to turn public education around. It won’t. I’ve stated many times before what the wise researcher Philip Schlechty believes; you cannot change the system until you change the culture. When non-educators begin making structural change without involving stakeholders and their culture, it will fail. Colleagues, Common Core and high stakes testing will fail because of the rebellion by those who are in the classrooms, school offices, board rooms, and concerned parent groups. We are not going to stand by this time and have something done TO US instead of WITH US. Ironically a large faction of the left is in agreement with a large faction of the right: Common Core has to go. The Power of Agreement can go beyond that if we take a step back and agree to some basic tenets. 1) All students can learn, but learning is a function of time so we must be able to differentiate our instruction. 2) The local community knows what is best for their schools and communities, but decision making is being usurped by state and federal departments. That needs to stop. 3) We need to provide opportunities for all students. Charters draw funds and programs that should remain in the local public schools. 4) We do need to measure academic progress of our students, but with weeks on end of testing at the expense of instruction. I am biased toward NWEA MAP testing because my district chose it for our own school improvement plans, not for the state. Teachers received data that same afternoon and could adjust their teaching plans accordingly. For my district, this was not a heavy-handed administrative tool, but one used to support our students’ learning and teachers’ instruction. 5) Lifelong learning for students is the goal. Career and college will fall into place when learning is owned and celebrated. 6) Every financial decision should be based on students and student learning. That means ensuring there is a safe and enriching work environment for students and teachers, and one that welcomes parents to partner where desired and needed. 7) The best school improvement plans are developed at the local level. Instead of state mandated templates, find schools of excellence and if one school is struggling, invest in the professional development to learn from peer schools. 8) If technology purchases are being made primarily for test administration – STOP. That is not technology integration. Our labs and devices can be and should be used to support and enhance a classroom lessons. 9) The Department of Education should be eliminated. Okay, I probably won’t get consensus on this, but they need to stop this nationalized education movement and provide federal funding with broad guidelines for its use. Special Ed funding (besides needing to be fully funded) would continue to serve that population, but I fondly recall when Chapter 2/Title 2 Funds could be used in ways that aligned with local needs. Bottom line is, US DoE needs to immediately stop micromanaging. This includes President Obama and Common Core proponents running for President in 2016. Public education as we know it should be is attainable. It was not that long ago when there was less state and federal intervention. But for now we may need to develop some strange and unexpected alliances to get us there. Middleton is a former teacher, administrator, and superintendent. 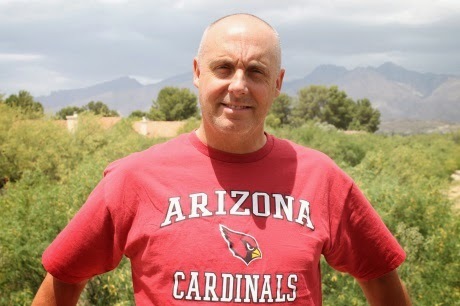 He now retired in Arizona working part-time as an adjunct professor. He is very proud to be associated with the growing group of BATs!